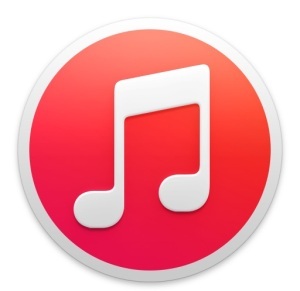 A fair amount of users have ran into “Error 3002” and “Error 3200” during the iOS update process with iTunes. It’s not entirely clear what’s causing this, but we have provided a solution that should work for both Mac and Windows users to resolve the error message so that you can update your iPhone, iPad, or iPod touch as intended. 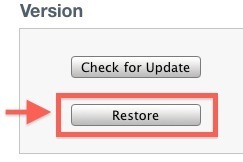 You will be restoring to iOS rather than updating, meaning the device will be back to a fresh iOS installation. Be sure you have a backup of the iOS device before you proceed, so that you can then get all your apps and settings back. Important: Before proceeding, be sure you have removed any blocks for gs.apple.com from your hosts file! If your hardware gets totally boinked or if you’re then encountering error 3194, you can also try putting the iPhone or iPad into DFU mode and restoring while in recovery. Remember to check your hosts file too, if you blocked an Apple server or use Sauriks instead in the past for jailbreak purposes, that will cause issues now when you are updating to the latest iOS. Update: Another common error is “An internal error has occurred” – this is an indication that Apple’s servers are swamped, so you may want to try again later. I have just a plain jailbreak on mine, will I have blocked Apple Servers? I am still downloading iOS5, its taking forever! I’m getting the error 3002 for both update and restore, any solutions? I had been getting the same response for a long time, i was begining to think that because my ipad normally sync’d to a mac trying to upgrade on PC may be causing the issue but eventually i got it to work with the restore option, it tool significantly longer to “verify with apple”, could be server related. Keep trying and it should work. I don’t understand about “Important: Before proceeding, be sure you have removed any blocks for gs.apple.com from your hosts file!”. Works for Error 300 and 1600 too, in fact almost all errors during iOS 5 update can be resolved with this method because it circumvents the download and connection to Apple’s servers. it works for me when running itunes as administrator. Was getting (3002), tried restore option. Now I just get “An internal error has occurred”. Thanks, we’ve heard several confirmations of this. Post has been updated. just backup your device first. 5#Make sure you shift click restore NOT BACKUP. 6)iTunes will erase your files – update to iOS 5 then place your music back onto the updated device. still no go… verification servers are down ?! As previously stated hold shift then click restore because the file is a restore not an update. Find your downloaded IPSW file then just follow on screen instructions and wait for your apps to return. ran as administrator – worked first time! restore for iOS 4.3.3 ? Getting it for a while now (error 3200) also i had gotten error, 21, 11, 3002, 3001, 1600, 1601, 1602. Im not sure how much more at me at they can throw at me. While I was getting the 3002 error, I found out that any addons that use iTunes will prevent your iOS device from updating. If you use any addons such as Last.fm for scrobbling or Growl for notifications, fully quit those applications and retry updating your iOS device with iTunes open only. I have iOS 5 downloaded and when I go to update I get error 3002 and when I do it from restore I get 3014. I don’t know what do to do. updating iphone 4 from 4.3.5 to 5 got error 3200 several times. Tested several options and was already pissed off as error remained. This procedure works, Like skipping backup and all the unnecessary sync. But you have to continue trying. This method works like a charm….. wooot woot! i went through all these sites, and i get it that apple is getting swamped but, i went over to my vista pc, and was able to get it restored to ios 5 via the direct link, i then went back to my macbookpro and restored from backup.. Thanks a million, upgrade download from you site and instructions resulted in iOS 5 now running on my 3GS and iPad 2. Glad to hear it, enjoy iOS 5! worked fine by getting the appropriate version for direct download and pointing it to it by holding shift and hitting RESTORE.. it verifies that it is good and then when done it asks if you want to set it up as a new device, or if you want to restore it from a backup.. VERY IMPORTANT.. right click on your device before you do anything in itunes, and select backup.. it will back up all your stuff to your HD, then you can do the RESTORE from the new iOS 5 .ispw. I had tried this a couple of times, but it never worked and I was getting quite upset. After a couple of consecutive tries, however, I got it to restore to ios 5. Keep trying and it should work! Thanks for the fix! Oh, and I should note that I started iTunes as an Administrator this time. one other quick note.. I dont’ sync books, music, videos on my iPad.. So I actually lost all that stuff.. I had music in my iTunes library.. but I tend to just delete .pdfs of magazines and videos I encode… so I lost that stuff.. but no huge deal for me.. just a heads up if you are gonna do it this way. Just at the point where the download suggested here had completed, ironically. Thanks for the fix, even though I didn’t actually use it on my iPhone, ‘coz I may yet have to on my iPad. This isn’t a “fix”. I do recommend updating it this way, but people who got it to work this way was just a coincidence. This issue is because Apple’s servers are overwhelmed. Just keep trying and eventually it will work. what exactly should my hosts file say? or does it not matter is i uncheck the exit on cydia in tinyumbrella? i know the server might be swampd but i have a lot of problems with my iphone so . turns out it was just the server nevermind. I WAS STUCK ON “BACKING UP” SO I CHOSE THE RESTORE OPTION INSTEAD OF THE UPDATE. EVERYTHING WENT FINE FOR ME AND AM NOW ENJOYING IOS 5.
great tip, with the restore. windows 7 iPad2 owner,workedlike a charm. thanks! As I am attempting to update my phone I keep getting this message after it attempts to “extract software” .. it says “The iPhone “iPhone” could not be restored. This device isn’t eligible for the requested build.” :( what can I do? Anything under iPhone 3gs wont work. Sorry Chris.. I have resolved this problems with a help of a friend. When you’re finished downloading the .ipsw file, copy or cut it then TRANSFER/PASTE it to the folder (C:)/Users/Username/AppData/Roaming/Apple Computer/iTunes. Look for the name of your ipod,iphone,ipad with the one with the folder name of Software Update and paste it in there. Open iTunes 10.5 then click the update button. Then your all good. Hope this helps! Thanks alot, the restore option worked great after backing up my iDevice and all my apps and settings are back…. am now enjoying iOS 5. Shift-Restore worked to install iOS5. But now I can’t restore my two hour old backup, because iTunes tells me this backup has failed… DUH!!! Is this a iOS4/5 compatibility issue? hey…i downloaded the ipsw file and when i tried 2 restore it i got an error 1304….saying firmware corrupt….wht do i do…n whts d cause f d failure??? Might need to download the file again. It’s work…!!! 1st time..juz follow that instruction guyz.. TQ so much..!! I keep getting a “device is not eligible for requested build” how do I fix that? Restore from backup and all of your apps and music will be returned. Will this method delete my photos and everything as well? I’m freaking out! My phone is stuck in the picture of the plug and the iTunes bubble. As long as you have a backup you can restore your photos and music from that backup. You need to restore the phone to iOS 5, and then you can restore from backup to get your music and photos. K thanks, hopefully this will work! iTunes has detected an iPhone in recovery mode. You must restore this iPhone before it can be used with iTunes. Any other solutions? How many attempts should I make at this? there is no ispw file in the zipped folder??????????????????????????? That’s because it’s not a zip file, it’s an IPSW file. Don’t use Internet Explorer to download it. On Internet Explorer, it will download as a zip, but then change the file type to .ipsw, instead of .zip. I downloaded for 3gs from http://appldnld.apple.com/iPhone4/041-8356.20111012.SQRDT/iPhone2,1_5.0_9A334_Restore.ipsw , and used shift restore. It working now. I have tried to remove all of my music from my iPhone 3GS before updating, but it’s still backing up at the same speed. After so many times trying, update, restore, backup, download from iphone auto (wasted over 10 hours+), download direct file – thinking the file i downloaded broken and many things i did..this is the best solution ever. I was thinking this might happend due to the jailbreak. After put my iphone under DFU mode, and restore, i can see the shining apple! its works! I have a question for anyone…I have downloaded the update ipsw file. I sync & then press shift + restore. It begins the extraction process…So everything looks good. I then get a 3002 error. My question is…Does iTunes still have to verify something with the Apple servers? Because I don’t have my computer connected to any network at this time…So does it still need to verify? Yes, you should be connected to the internet when you are updating iOS. Many of the errors are caused by connectivity problems. Matt…Thank you very much for that bit of info. By the way, will it need to be connected the whole time or just initially? well, i tried to update 3 times using the secondary download link on my ipodtouch 4g it didnt work…..then i tried the first restore option and it worked first time ! just be patient keep on trying it will happen now i have ios5 F****** amazing! This worked for me. Thanks aCQQK13. Oh, and this is jailbroken. You my friend are a lifesaver. Many thanks! Copied the ipsw from folder and then pasted it on the desktop,user-(user name)-appdata-apple computer-itunes-ipad software updates,and then hit the restore tab while holding down the control and shift button,browsed to the desktop where i had earlier pasted the ipws and double clicked.the rest happened so magically,remeber it took me almost four days of trying everything. Thanks it worked……no more Update Timed outs. I’m still getting error 3002 even though i’m using alt and update. It was very helpfull for me and solved my problem. “I have resolved this problems with a help of a friend. Will my data be permanently lost? Or is it after shift restore the programme gets updated and I can restore my backup and everything will be the same? Hmm. Mine seems to be hung up on “Accessing iTunes Store…” Is that normal? I recently updated to IOS5 and I have noticed the following software issues….. I no longer recieve a tone when I recieve a text message (even with a tone selected in settings and notifications on). My WIFI meter located in the status bar now reads in decibels when I move into any application and remains that way until I return to the home screen. I have the notifications set to show me a preview at the lock screen. Even with messages and calls missed I still am not “notified” on the home screen. After completing the update I am missing over 9000 songs, several apps (free and paid) and have noticed the phone is a bit sluggish. I was operating with a cydia jailbreak (4.2.10) prior to updating and couldn’t really wrap my mind around the whole process so I decided to try IOS 5. I wish I would have stayed a bit longer…. Anyone having similiar problems??? I am also curious if I can correct these problems myself or will I need to contact apple for a fix…..
all done great…i got error 3002…but i followed restore method rather thn update method…n in 5 minutes i got ios 5 on my ipod touch 4th gen! Using ipsw, shift+update gave 3002 so I followed advice to backup then use shift+restore that’s worked for many here, which extracted the file but after restoring, when iTunes tries to connect my Touch but reports “iTunes could not connect to the iPod ‘iPod Touch’ because the pairing is missing. Now i’m stuffed – can’t use it for anything unless find a solution. Any ideas please you knowledgable fellows and fellowesses? i just figured it out myself finally. i reset the iPod touch by pressing & holding the power on button whilst then pressing the menu button since there was no other way to access it. It was then able to connect to iTunes and restore the backup (well still restoring so hope will complete ok by morning). Yippee! How do I fix 3194 and 3014 errors when restoring iphone? So I downloaded the firmware, clicked restore while holding shift, etc. I found a solution to that error which was to add an ip (cba finding it) and “gs.apple.com” into my hosts file, which I did. I just want to restore it back to iOS 5.0…..
Use “Search” in the upper right corner, we’ve covered error 3013 and error 3194 before. i have done this about 20 times at least and get errors every time. HELPPPP. ive been doing this for 5 hours straight now! also what on earth is a host file and how do i check it? restore does not work to fix 3002. ive been trying it for the last 2 hours. DFU mode does not work!!! it just deleted everything!!!! i have tried to restore it so many times. is it possible to restore a jail broken i phone 4 ios5 to restore with original ios 5? Yes, just restore with iTunes. i have tried over 40 times and every time getting 3194 error…. I have iphone 3gs ios 5.1.1 with siri instaled,few month later my iphone always restart or turn off itself,i decide to restore my iphone but always failed with error code 3002,then i trying to upgrade to ios 6.1.2 but i have error again,can somebody help me? ?